Oh Pinterest, you beautiful search engine, you. I want to say I was going through a phase of healthy eating (aka dieting) and finally took a friend’s advice to go on to Pinterest. To be honest, I was kind of overwhelmed. So many images, what felt like no structure, and just so much content. (or at least, 2013 me thought it was a lot of content). Flash forward to about six months ago when someone told me they used Pinterest for their business and you would think my neck would have snapped from how side turned my head was. Oh, was I wrong. 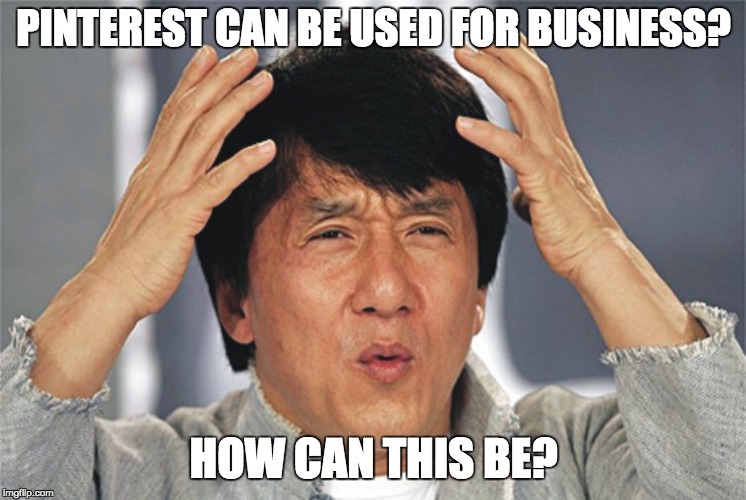 I learned that not only can Pinterest be used business, but it’s the equivalent to almighty search engine,Google. Well this it what knocked mix matched my socks off: Almost every person goes on there to find something specific and usually with intent to buy. Think about how you search through pinterest? Keywords. Just. Like. Google. 3) you can gain results within a week. If you haven’t already, I want you to look into the boards you’re currently displaying and see if any of them is what your ideal clients would be looking for. The answer might be no, and that’s okay. If they aren’t up their alley, but you still want to keep them then make it into a secret board. (tip: make it keyword specific). I.e. one of mine is Branding Tips of Female Entrepreneurs. -When designing pins, make sure vertical and looks good on mobile as 80% of users are looking at it on their smartphone. Anything list based or problem solving is great for Pinterest! And keep in mind, these will be blog posts so that shouldn’t be too difficult to make a quick list. And lastly, this is a huge space of marketing anything because pinterest is all about visual component. For Product based, doing discount offers or using Rich Pin and Promoted Pins is a fantastic way to get your item out there! For service based (especially photographers or bloggers), you find a lot of people look for inspiration on here for their engagement, graduation, you name it shoot. I suggest posting your favorite pieces of each shoot on here with keywords in the description and watch the views on your profile skyrocket! To give you an example, I slowly began using Pinterest in my business (and I’m no photographer), but with consistent pinning, and growing my boards I went from a couple hundred monthly views to 3.5k monthly views in a week: Because Pinterest is a gold mine right now, and please see the value here. And if you need any help with getting your Pinterest out of this pin-world then comment below or shoot me an email at dani@danielleklemm.com. Main takeaway: Pinterest if your friend, not your foe. And like any friendship, needs consistent nurturing to grow. Then watch your efforts bloom with your new bestie (aka Pinterest, or me, or your pet which actually should be your #1 best friend). Next week I have on a guest blog from Ashley at Dash of Social who will help all about Twitter!